Cleantech Invest portfolio company Swap.com (Swap.com Services Oy) has closed a 19M€ investment round. The round was led by eEquity from Sweden and joined by other investors. This investment brings Swap.com’s total equity funding to 46M€. The funding will be used to further accelerate the growth of Swap.com. The effective ownership of Cleantech Invest Plc in Swap.com is 5.3% after this investment round. Cleantech Invest Plc and all of its affiliated companies own a total of 16.1% of Swap.com after the transaction. The ownership does not take into account possible dilution from performance based options. 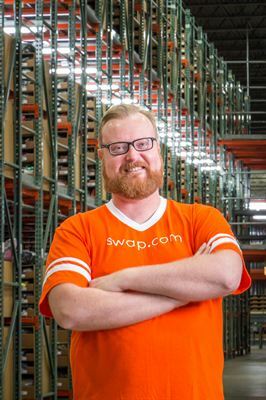 Swap.com is an online consignment store that was founded in Finland. The company has been growing 180 % year-over-year, and the company operates a state-of-the-art logistics center of 360,000 square feet in Bolingbrook, Illinois. It has over 1.5 million unique items in stock. Carnegie Investment Banking acted as a sole financial advisor to Swap.com Services Oy in the private placement. For more information see Swap.com’s press release here.